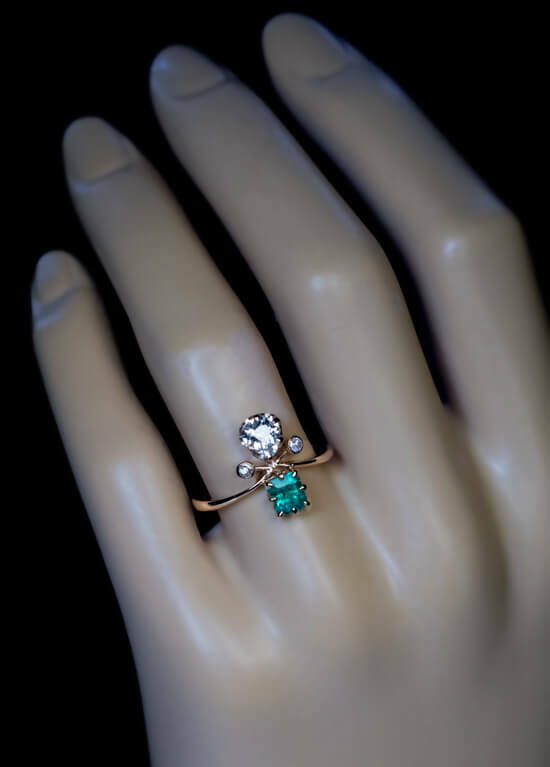 A 14K rose and yellow gold ring is vertically set with a bright white old pear cut diamond (G color, VS2 clarity, approximately 0.52 ct) and a step-cut emerald of a vivid bluish green color (approximately 0.42 ct) accented by two small single cut diamonds. 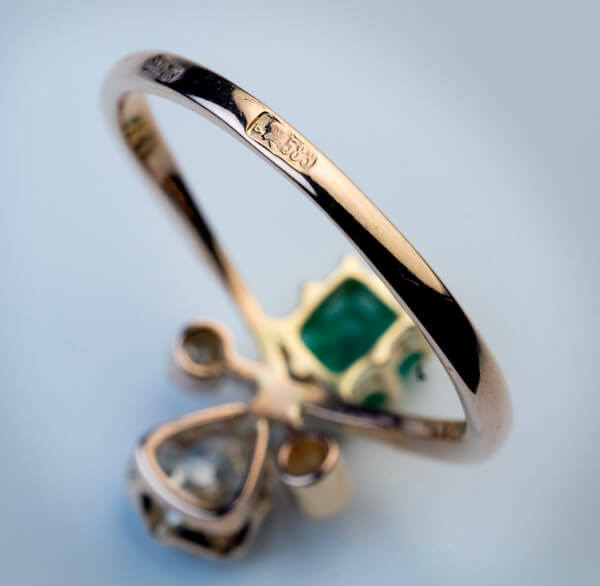 The ring is marked with 583 Russian gold standard with Moscow assay symbol and maker’s mark. 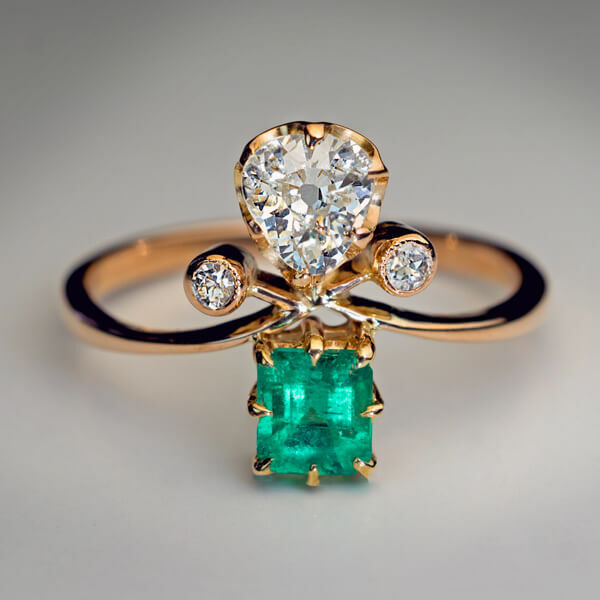 Buyers and sellers of fine antique jewelry and Imperial Russian antiques since 1998. Based in Chicago, we specialize in original fine antique and vintage jewelry from all periods and styles, authentic pre-1917 jewelry by Carl Faberge including rare miniature Faberge eggs, engagement rings of unique designs, unusual men's rings, and rare Russian demantoid and Siberian amethyst jewelry. We also buy and sell objects related to Nicholas II, the last Tsar of Russia. Friday between 11 am - 5 pm.